By utilizing the carbon discs, the ATS carbon LSD posses superior transitional characteristics from free to differential lock, giving a more natural feeling of control. For racing and competitions that push the vehicle to the limit, Carbon LSD��_s give you valuable feedback traction and control in a more predictable manner. 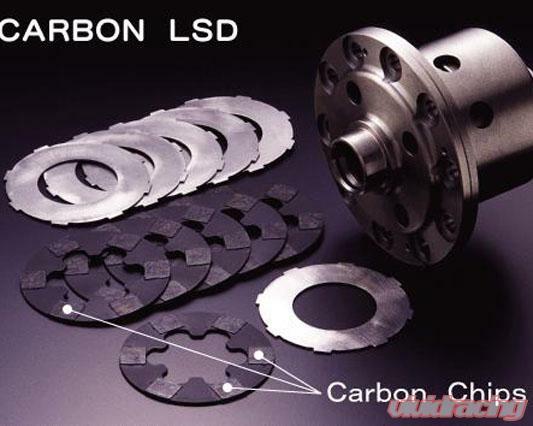 Carbon LSD��_s offer many advantages over traditional metal LSD��_s. 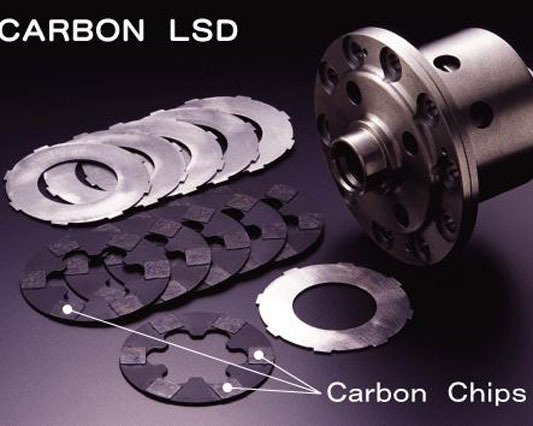 Carbon LSD��_s have twice the differential lock strength of metal LSD��_s. Carbon LSD��_s also have more stable operation, eliminating the sudden on/off operation of metal LSD��_s. ATS presents its carbon clutch produced by a joint development with ACROSS Corporation. ACROSS Corporation is a leading carbon manufacture with the most advanced CC composite technology in the world. The super light and heat resistant characteristics of CC composite gives a driver truly exceptional strength, response, and durability. Its operation is very smooth and easy on the transmission. From the street to the racetrack, under any driving condition, ATS carbon clutch enhances your driving performance and excitement.